Today I would like to share with you a very interesting project that is searching for funds. As you may know (and if you don't know now you know), there are a few websites of fundraising, where you can help projects all around the world to be done. Usually you give an amount of money and you get something back (depending on the amount), the project only receives the full amount if they reach their minimum to start the project. On one of these platforms, Indiegogo.com I've found a very nice project and I'm making here a call to action to help them too. The project's name is «AcademyOf Champions». Their aim: the first world's stage for cybersportsmen. So the idea is to create a platform where everyone can be taught to play DotA 2 and League of Legend, become a commentator, strategist and team manager courses. With so many people playing games as full-time job, with tournaments and championships being organized world wide, we may say that's a professional sport, and so an academic learning should be built. 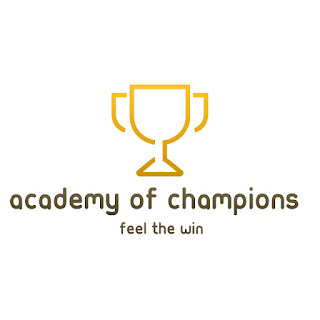 Academy of champions plans to organize tournaments as well, as the first platform on the field, they would like to be the reference on it, and offer services to cover all the needs of professional gamers.